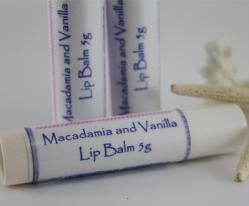 Macadamia & Vanilla Lip Balm, simply delicious. 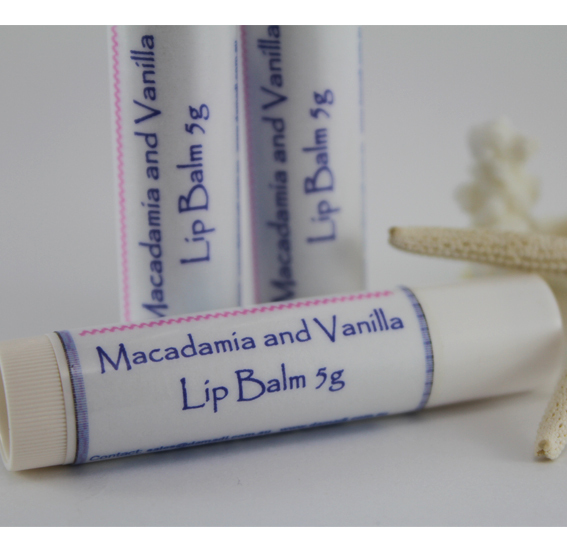 Loads of luscious macadamia oil, cocoa butter and vanilla it tastes good enough to eat and is so pure that you could, but don't be tempted, it will do more good on your lips than in them. Note - Contains no petroleum products.